Another year, another smartphone competing for your wallet. The LG G6 is one of the major flagships you might be considering if you plan to upgrade at all. So what's the deal with this thing? Well I've been using it for a little over a week now, so I think it's time I share my thoughts on this new phone. As you may know from last year, the previous LG G5 didn't do so well, and it seems like LG took a much safer path this time around. There aren't any gimmicks or overly ambitious design choices, which is fine with me. So let's start off with the physical features on the outside of the phone, starting with the display. It's definitely the first thing you'll notice when you turn the phone on, because it basically takes up the entire front of the thing. But even though it's a big screen, the bezels are so small that it doesn't feel like an oversized phone. The corners are also rounded which I like. And it really is a great looking display. It's 5.7 inches, with a 2800x1440 resolution, which is an 18:9 aspect ratio, and the panel type is IPS. The size of the screen is very welcomed, and makes it nicer when scrolling through websites or instagram feeds or whatever. Though it is pretty tall, so it can sometimes be tough to reach the top of the screen. At first I was skeptical at the choice of IPS over OLED, but that didn't last long. It's got great contrast, and was impressed that it seems to be able to show blacks just as deep as OLED panels. Because it's IPS, it has the benefit of being slightly brighter than OLED, and should have less risk of color shift. For example, the color balance on the G6 looks spot on, and when I compared it to my Pixel XL, I didn't even notice that the Pixel has almost a yellow tint. Whether it was designed with warmer white point, I'm not sure, but the G6 clearly looks to have more accurate colors here. And I should hope so, because the screen is also advertised to support Dolby Vision HDR, so that's plus if you like to watch movies on your phone. Continuing on to the rest of the body, on the front you also have a front facing 5 megapixel camera, a speaker, and that's about it. On the sides you have most of the standard stuff. Volume up and down buttons, Sim card and SD card tray, headphone jack on the top, USB Type C and speaker on the bottom. No real surprises for any of that. On the back things get a bit more interesting, we have the power button which doubles as a fingerprint sensor, dual cameras, and a dual LED flash. The fingerprint sensor is nicely placed and is easy to reach, and I like that it automatically unlocks the phone without having to actually press the power button. Though it's actually so fast that you can't really use it just to look at your notifications, you basically have to double tap the screen to do that. As for the camera, I'll go into more depth laterr, but the reason that there are two is that one is a wide angle, and the other is a typical focal length. Next let's get into the internal specs you can't see. The processor is a snapdragon 821. Not the latest 835, but still very fast. Then it's got a standard 4GB of RAM for a flagship, and 32GB of internal memory. It does have an expandable SD slot, but I still wish the internal storage was more than 32 considering the system takes up nearly a third of that, so a bit disappointed there. On the other hand, I am very pleased with the battery. It's 3300 Milli-amp hours, a good size, and the battery life was a lot better than expected. I can get several hours of screen on time, and even with the Always-on display, the battery doesn't even seem to drain that much. I expect this has a lot to do with Android 7 and it's new battery optimization features. I'm also glad to see they included wireless charging, which I'm a big fan of. And of course you have Qualcomm quick charge 3.0 to charge it up as fast as possible. Other notable features include gorilla glass 5 on the back, but only gorilla glass 3 on the front. Doesn't make much sense to me why they wouldn't just put the stronger glass on both sides, or at least the front. Apparently it's to save thickness, but if I had to guess it's just a cost saving decision. And of course, yes it is water proof with an IP68 rating, so unless you drop it into the bottom of a deep pool or something, you won't have to worry about water damage. I even tested it myself under the shower, and as expected, no issues. However, one big missing feature is a notification LED, not sure why they didn't just add a small one. Sure there's the always on display, but I'd prefer not to use it for the sake of battery. Plus it's pretty dark anyway, making it hard to even see if you have new notifications or which ones, and if you use the higher brightness, it kills your battery. I'd much rather just have a little LED that flashes different colors. Next let's talk about performance and experience using the phone, starting with the camera. Both the rear cameras are 13 megapixels, with the standard lens at f 1.8 aperture and the wide angle at f 2.4. And I think it's nice that they included two different focal lengths so you can get more in the shot if you want. Besides that though, the cameras are just painfully average. It doesn't seem to offer anything new from what we saw in last years phones. Especially when some new phones like the Pixel are able to take oustanding images using multiple frame samples, I can only describe the image quality on the G6 as "good", but nothing special. Moving on, let's talk about user experience. In terms of speed, it's great, as you'd expect from any flagship. I haven't noticed any stuttering or lagging having used it at all, and apps seem to open very quickly. Not really anything else I can say other than that. One big feature is the inclusion of native Google Assistant, which you can access just by holding down the home button. I'm a big fan of the Google Assistant and use it a lot more than I thought I would when I first heard about it. Though I should point out that Google is rolling out Google assistant to all android phones that are running at least Android 6.0, so you might already be able to get it. Now the G6 is running Android 7.0, which is great, but I don't know why they didn't launch it with 7.1 which has already been out for months. I definitely don't like that, because we know that carriers are notoriously slow at rolling out Android updates, if they do at all. Especially considering that unlike 7.1, Android 7.0 is missing one of my FAVORITE features, nightlight, which reduces blue light at night, making it a lot easier to see. However, I luckily found a third party app just called "Night Light" which allows you to unlock the feature, because it actually is in 7.0, just hidden. 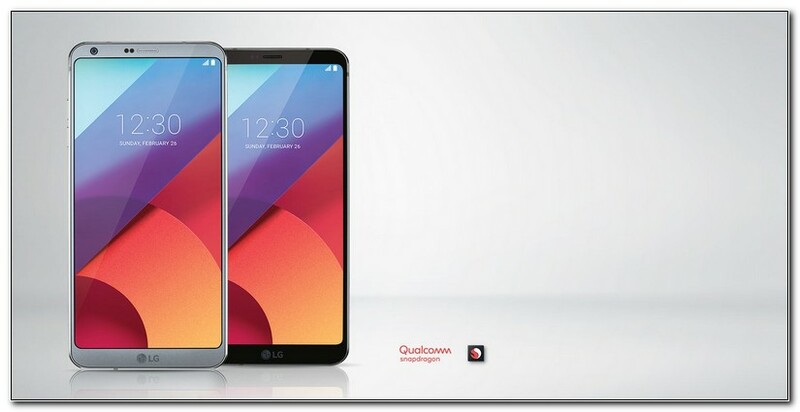 Next, the G6 uses LG's UX 6.0 skin, which just... ugh. To be fair I'm not just picking on this skin, but I think any skins besides stock android are just unecessary and stupid. The first thing I did was replace the home screen with the Google Now launcher. The default one gets rid of the app drawer and just shows all your apps on the home screen, which might be good for people new to android, but not for me. And why does it seem like all these skins disable a bunch of features. Like the G6 disabled the System UI tuner. Why, LG? Why would you REMOVE features? And of course, we can't forget about BLOATWARE. This isn't really LG's fault I guess, this happens with any phone you buy through a carrier, but if you buy a carrier branded G6, be prepared to have a ton of pre-installed garbage apps that you can't delete. For example with the AT&T Version, do you have directTV? No? Well too bad, you're not allowed to delete this useless app that takes up over 100 megabytes! But, there's hope. LG is making an unlocked version of the G6, that as of now is "coming soon." So you may want to consider getting that. Alright now don't think I'm going to complain about everything, there are features they added that I actually do like. For example, they have this cool option for Live Wallpapers, which are basically moving backgrounds for the home screen. And if you dig deep enough they have a bunch of free ones you can download. You basically choose a 360 degree photo, and then you have a lot of options for how you want it to move. I just have it set to auto scroll where it just kind of rotates slowly. But if you want, you can have it use the gyroscope to rotate the image along with the phone, which I think is awesome. Though this effect does require more battery usage, so I ended up disabling it for now at least. So super cool, actually one of my favorite features, especially since they have so many you can choose from. Another small but important feature they added is the battery percentage in the status bar. For the life of me, I do NOT know why stock Android does not have this. So it's nice to see that option. So let's get to some of my over-arching thoughts about the G6. In general, I think it's a worthy flagship. Definitely a good phone that ticks all the boxes. It's got a great screen with top notch image quality, which I think is the best hardware feature. But judging by recent announcements, this won't be the only smartphone this year with thin bezels. The dual camera feature is nice, I could see a lot of people using that for sure, and the picture quality is reasonable. And I do like the physical design of the phone, it looks very modern and slick. Though it's very clear that LG didn't want to take any risks with the G6. There's not really any one feature that makes me say WOW, but the phone overall is satisfying. If you get this phone, you won't really have anything to complain about. For some of you, perhaps that's most important. You don't care about all the bells and whistles as long as it just does everything you want and works. But I feel like the G6 will be a tough sell when you compare it to other new flagships with more headline-catching features, and are at the same price point. 0 Response to "LG G6 Review: It's Definitely a Phone"